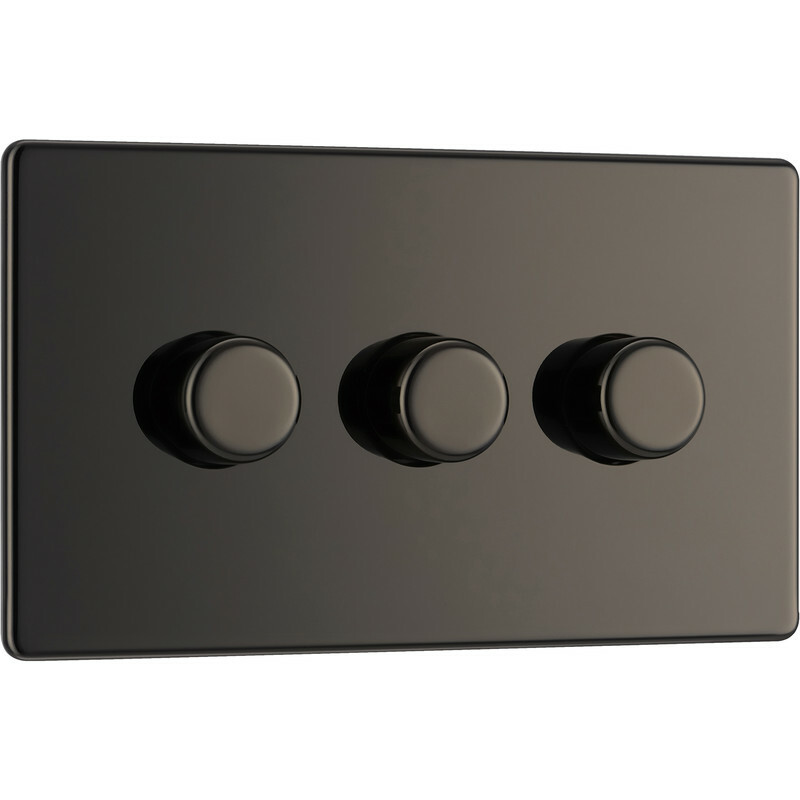 BG Screwless Flat Plate Black Nickel Dimmer Switch 3 Gang 2 Way 400W Push is rated 5.0 out of 5 by 3. Rated 5 out of 5 by Dodgy Roger from Great value for money, lovely item. A clean looking stylish dimmer switch at a good price. Rated 5 out of 5 by Speechless Pete from Simple, Smart, Solid Great value dimmer that looks smart, feels well made and is easy to fit. Especially liked the instructions with clear compatibilty table for various types of lamp (CFL, LED etc). Can't really rate reliability, but it's still OK after 3 weeks. Rated 5 out of 5 by Kish from Very nice and elegant looking Bought this switch to make the room look a bit more elegant and different from the usual plain white switches. This switch adds a good touch to the room and definitely worth the money. Easy to install and no problems with it.